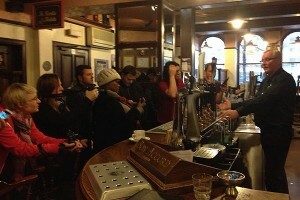 Scotland’s Pubs & Bars: A Story to Tell welcomed its first celebrity champions earlier this month when South African rock band, the Parlatones dropped into the Bon Accord in Glasgow for a quick post-performance dram. After launching their new album live at 37,000 feet aboard a flight from Johannesburg, the band and members of leading breakfast radio programme, Breakfast Xpress, visited both Edinburgh and Glasgow for a whirlwind tour of the sights, smells and sounds of Scotland. 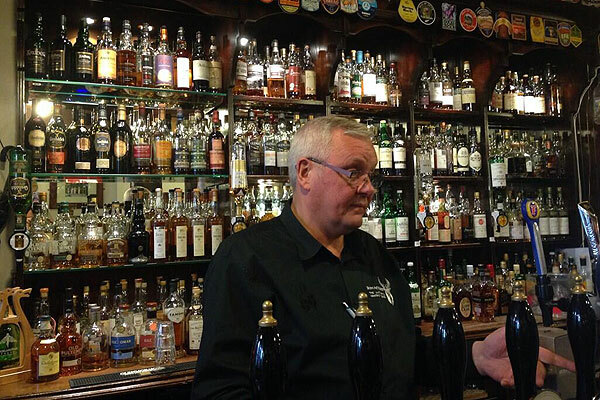 VisitScotland arranged for the group to meet bar owner Paul Drummond and Paul Waterson, Chief Executive of the Scottish Licensed Trade Association for a whisky and beer tasting and an introduction to Scotland’s Pubs & Bars: A Story to Tell. The band then went on to another of the initiative’s venues, King Tuts Wah Wah Hut, to find out first hand why many bands say it is one of the best places in the world to perform. Adding their own chapters to the stories that both the Bon Accord and King Tuts Wah Wah Hut have to tell, the band left Scotland hugely enamoured with the project, the venues, the people and of course their stories.